Also available on Pageburst - a fully searchable digital text platform that makes it easy to quickly find key topics and drug information. Sold separately. 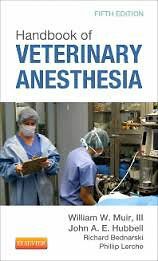 UPDATED coverage of euthanasia, including the most current AVMA guidelines, provides todays accepted protocols for the provision of euthanasia.